Thank you to God's Glory Box for providing me with product to review. All thoughts are my own. God's Glory Box arrived at my house and I don't know who is more excited to rush inside and begin exploring: my kids or me! I absolutely love this box! 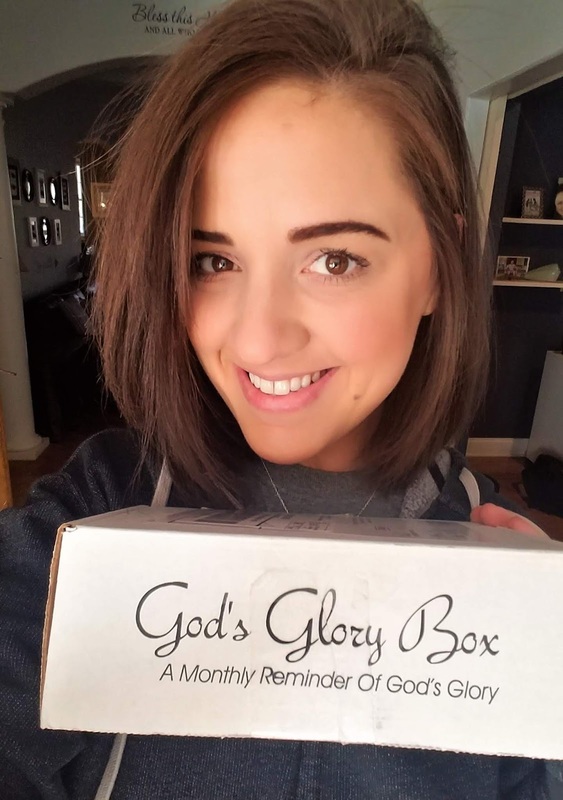 God's Glory Box is a monthly subscription box designed for Christians with a mission in mind. This is an easy company to get behind and support because in doing so, you are helping to feed the hungry with every box purchased. I absolutely LOVE that. 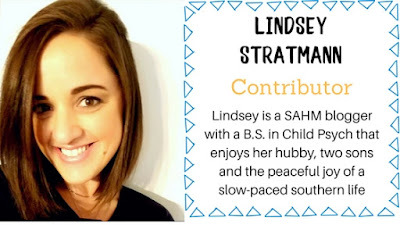 I wish there were more companies that do this, but there seem to be a growing number of businesses using their platform to help those in need and for that I am very excited. Wearing this shirt is sure to encourage someone that comes across your path who may need this reminder. I love to wear shirts with positive messages because you just never know who needs to read what your shirt says. 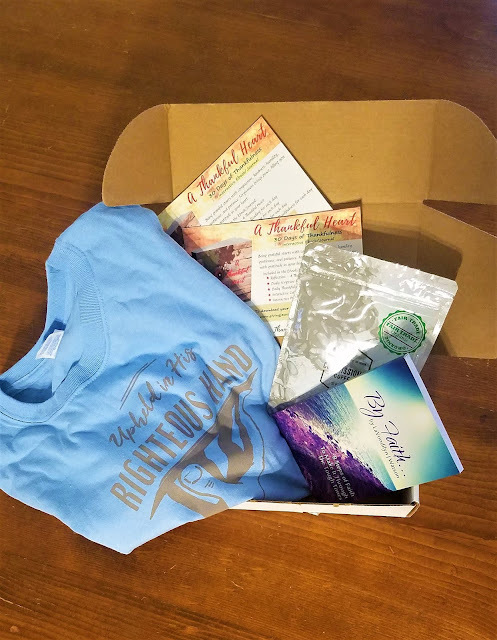 In this box there is a cute t-shirt, bag of delicious fair trade coffee, 2 free downloads of the book, "A Thankful Heart" and a devotional book called, "By Faith". 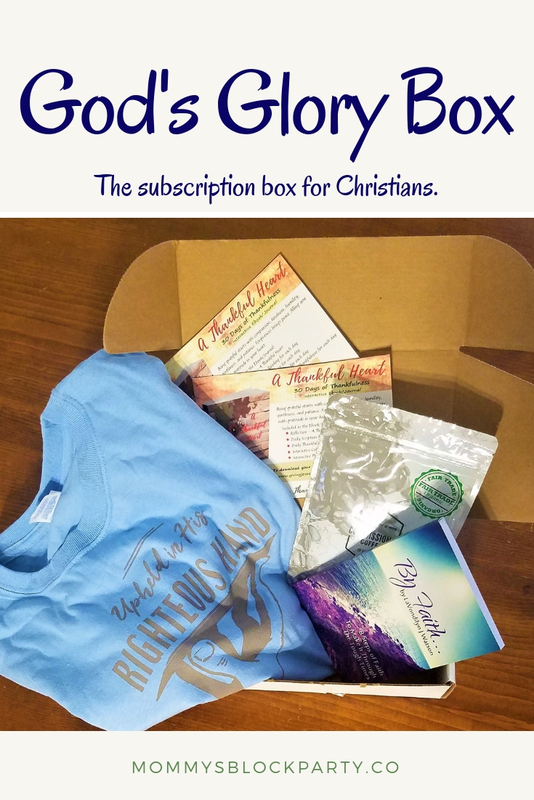 Each month you will receive a box full of Christian-themed treasures that you can either keep for yourself, or give as gifts. One thing I like to do is immediately choose an item or two I want to keep and the rest of the items I pray about. I pray and ask God to bring a person to mind, at the right moment in their life to receive one of the items in my box. He always does. It's also a great way to share all about God's Glory Box with friends and family. You can hop over to God's Glory Box and check out these amazing subscription boxes! You can choose a 1 month plan for $29/month, 3 month plan for $27/month, 6 month plan for $24/month or a 12 month plan for $22/month (best value!). Be sure to check out God's Glory Box on Facebook to stay up to date on all the latest happenings. Thanks again to this amazing company for partnering with me. It is always such a pleasure.